As you age, you develop fine lines and wrinkles around the eyes, the mouth and on the forehead. Sun exposure and stress can add to the progression of these lines, causing them to become more prominent over time. 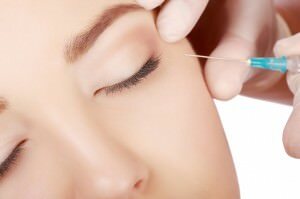 At the SK Clinic, we believe that no one should have to suffer with the signs of aging, when there are safe San Diego Botox® treatment options that can turn back the hands of time, smoothing away those crows feet, wrinkles and lines and giving your face a smoother and younger looking appearance instantly. Using state of the art procedures, the SK Clinic can implement San Diego Botox® injections that will release the tightened muscles that are causing the furrows, lines and wrinkles, smoothing out your skin and making it look flawless. Millions of men and women have turned to this safe procedure, because they want to feel better about themselves and love that Botox® San Diego injections provide that for them. With Botox® San Diego injections, you can have the younger looking skin that time has stolen from you. These easily administered injections are very effective at removing even deep wrinkles. More affordable than many other cosmetic procedures, Botox® San Diego injections can safely revitalize your appearance, taking years off of your face. With no cutting or anesthesia, you can leave the office with a whole new look. You will be amazed at what Botox® in San Diego can do for you! Botox® injections have been approved for individuals ages 18-65. The injections do not normally cause any lasting side-effects and the effects of the injections can last as long as six months. If you are tired of looking older than you feel, we invite you to learn more about this wonderful advancement in cosmetic procedures, that was used by as many as 1.2 million patients across the US last year. If you are ready to look years younger, in as little as one La Jolla Botox® session, contact us today. We have helped hundreds of people, just like you, to achieve the look that they always wanted. With these safe San Diego Botox® injections, you can rest assured that you will look amazing! Isn’t it time that you did something just for you? With Botox® La Jolla injections, you will feel better about yourself and be able to face the world with confidence. You deserve only the best and at SK Clinic, we are prepared to offer you the best in Botox® San Diego treatments at our facilities in La Jolla, California. 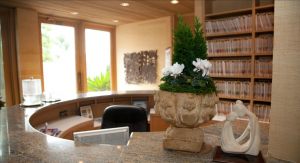 Give our office a call today and allow our friendly and knowledgeable staff to get you scheduled for your Botox® in San Diego consultation today!